This is our guide on tracking down and killing the four Folding Screen Monkeys in Sekiro: Shadows Die Twice. In the latter half of Shadows Die Twice, you're going to need to catch and kill four monkeys in a unique arena. 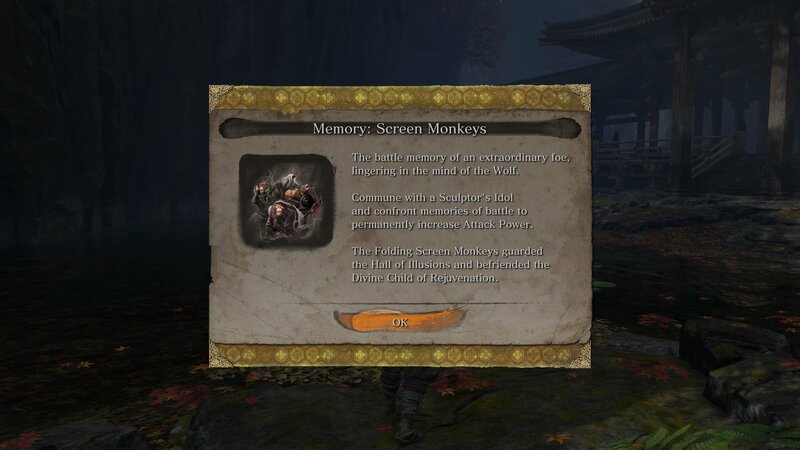 In this Sekiro Folding Screen Monkeys boss guide, we'll be taking you through catching and killing the four monkeys as easily as possible. 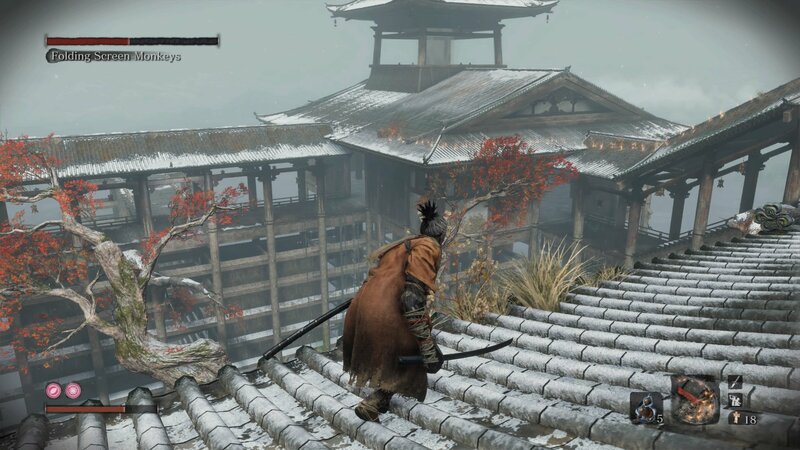 Firstly, if you decided to take on the Senpou Temple area of Sekiro, before beating Genichiro Ashina at the summit of Ashina Castle, you'll want to backtrack. 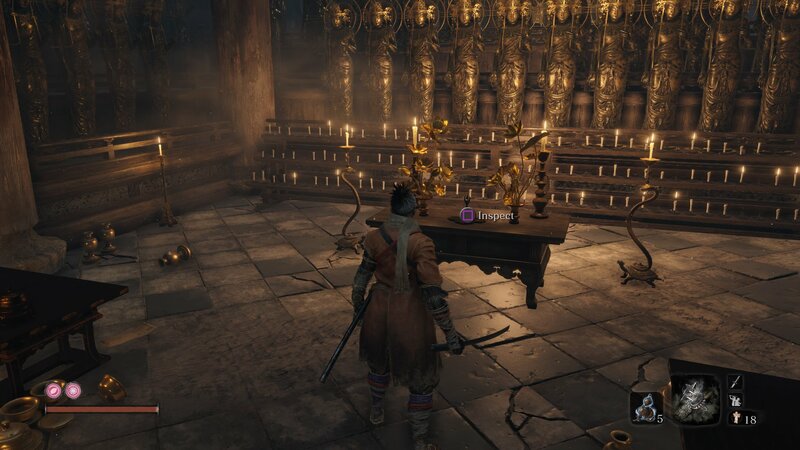 Save Senpou Temple for later, and take on Ashina first (head over to our Sekiro Genichiro Ashina guide for more). After the brutal fight with Genichiro Ashina is done, then you can tackle Senpou Temple. When you reach the Inner Hall Sculptor's Idol, you'll find an NPC that you can talk to, praying nearby the Idol. Leave the area via fast travel, but return to the Idol straight after. The NPC will now be gone. Instead, walk up to the main prayer shrine, and interact with it. There'll now be a brief cutscene, in which Wolf picks up and rings the small bell on the shrine. You'll now be transported into a brand new area, for a showdown with the Folding Screen Monkeys. Now, this area can be tricky. From where you start, grapple up to the rooftop on your left. Crouching so that no monkeys detect you, make your way to the far left building, and drop down into it. Interact with the large wooden door, to pull it open, so that all the lights in the area go out. Grapple back up to the rooftop area, and head to the back middle building, crouching all the way. As you enter this building, you can grapple up twice, where you'll be in near darkness. 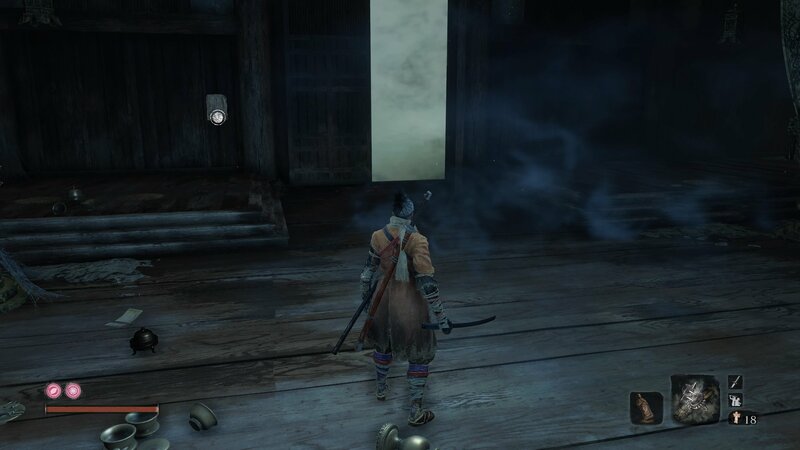 Use the lock-on to find the Folding Screen Monkey in this area for an easy kill, as it can't see you since the lights went out when you opened the door. Next, there's another Folding Screen Monkey patrolling the roof that's just outside this building, near the center of the area. Stealth approach this Folding Screen Monkey, which leaves a trail of fiery footprints so you can easily track it, and take it down from behind. Note that if this Folding Screen Monkey sees you, it'll send illusionary monkeys after you. While these can cause a slight terror build up if you're hit, if you can kill the illusionary monkeys it'll automatically kill the true monkey that sent the illusions after you. Killing two birds/monkeys with one stone. There's another Folding Screen Monkey that patrols every roof in the area, and it's best to go after this one next. Try and pinpoint its location from the various footprints left by it on the rooftops, and then approach it, as slowly as possible, from behind. If you can avoid getting seen by this monkey, you're in for an easy kill. Next, there's the monkey in the middle of the area, on the tree, and this monkey is without a doubt the most annoying of the four. As you approach it on the tree it'll immediately bolt, and the final phase of this fight basically become one huge game of trying to shepherd the monkey into the area where the water is pouring down through the tower. If you can manage to corner the monkey in this tower, you've got the upper hand because it can't hear you due to the water. So, you can now sneak up on the monkey as quietly as possible, and take it out. When you're finally done with the Folding Screen Monkeys, you'll get access to a brand new memory, which you can use at a Sculptor's Idol to increase your attack power. 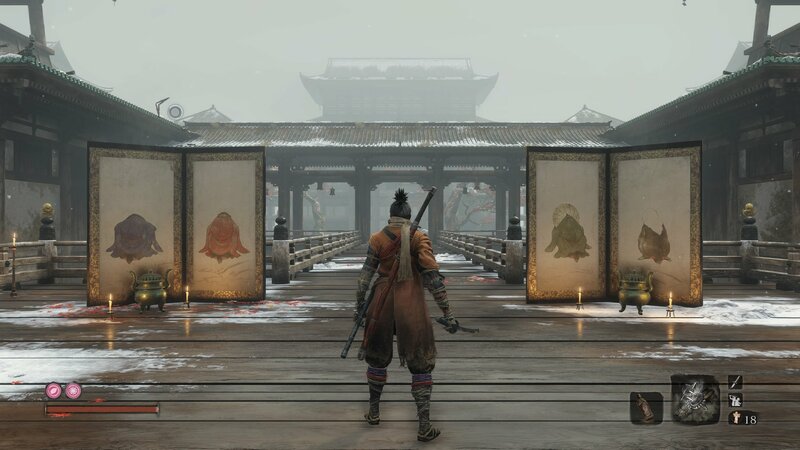 On top of this, you'll unlock the Inner Sanctum area of Sekiro.